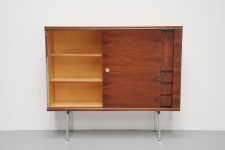 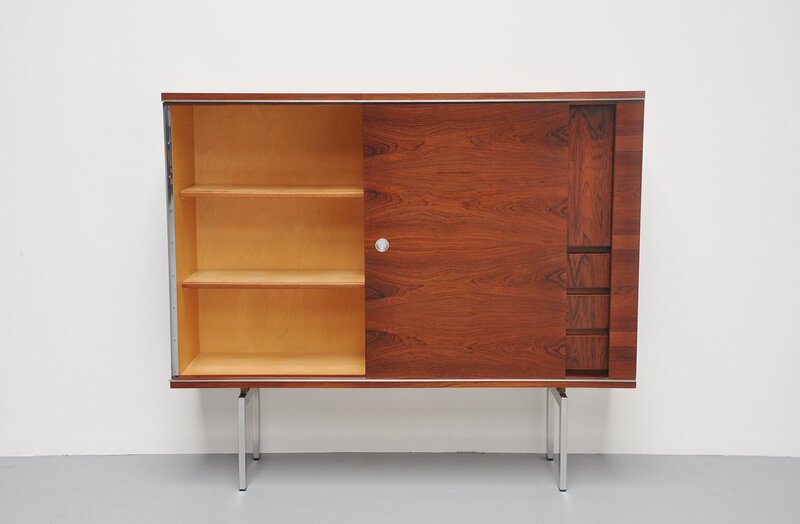 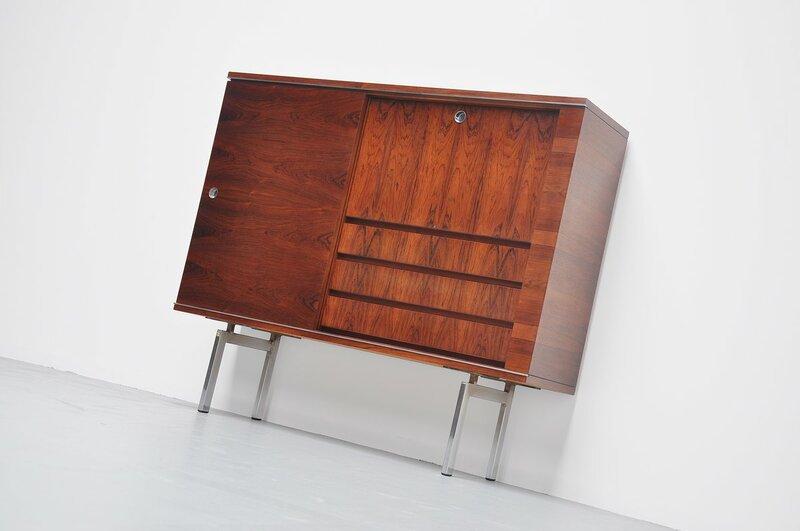 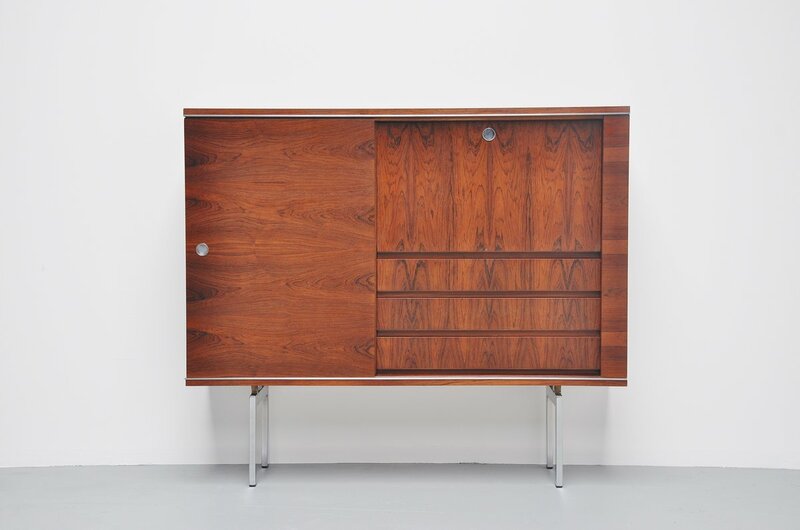 Very nice designed Belgian liquor cabinet/secretaire made by N-Line Gent, Belgium 1960. 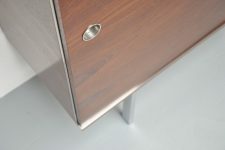 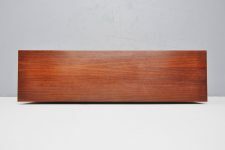 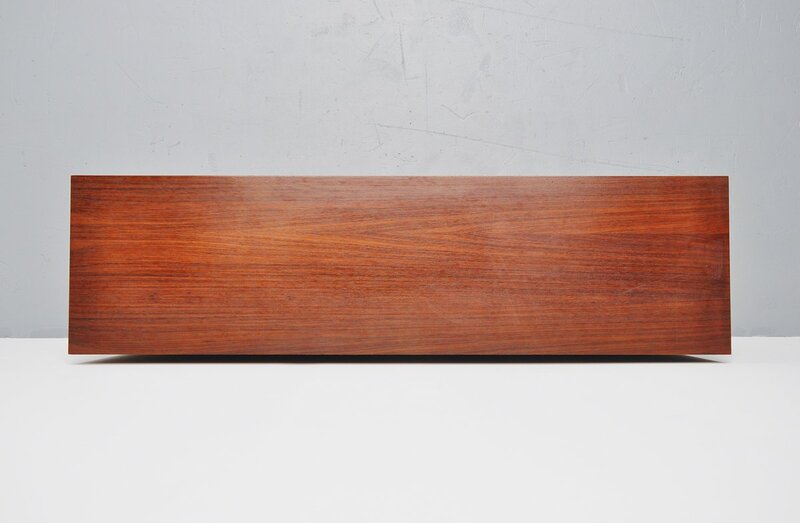 This slim shaped cabinet was made of rosewood and has some very nice brushed steel and chrome details. 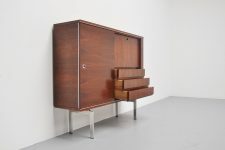 On the left a sliding door with several shelves behind and on the right a folding top for liquor or books and some shelves below. 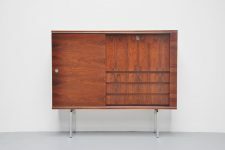 The cabinet is in very nice original condition.